Varanus acanthurus is a medium-sized monitor lizard. The tail is about 1.3-2.3 times longer than head and body. Their coloration ranges from a rich, dark brown to bright red base color and painted with bright-yellowish to cream spots, which often enclose a few dark scales. Its tail is round in section and features very spinose scales. Varanus acanthurus is distinguished from the similar-looking species Varanus baritji and Varanus primordius by the presence of pale longitudinal stripes on the neck. 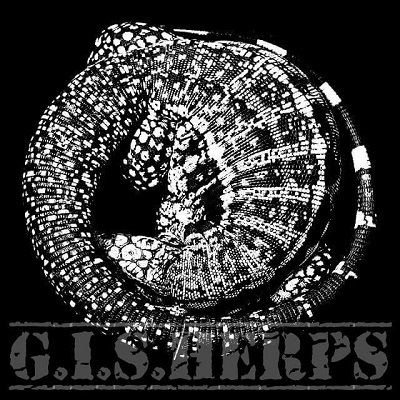 Housing for Varanus acanthurus is a subject of much debate and the line of thinking on the subject has evolved over the years, like many things reptile related. I have found that they will use as much room as you can give them. That said, the general consensus says that one could comfortably home a pair of ackies within a 0.6 meters deep, 0.6 meters high, 1.5 meters long (2 x 2 x 4 feet) enclosure. This housing concept may or may not take into consideration the required depth of substrate. At any rate, think bigger is better while keeping in mind they are very fast when warm and they are small. A safe place to hide out is something most animals are quite fond of. Some animals will be more bold and will allow themselves to be seen while others will hide and barely be seen. They all have their own personalities. A good habitat design will incorporate several places for the ackies to hide out. From the common half log to cork tube or store bought cage furniture specifically made as a hide, there are many options readily available. An egg laying box for adult ackies can be a multi-faceted option. This ideally would give moisture and depth of substrate while also providing a hide. What is known as a “Retes Stack” is also a multi-purpose cage furniture. This consists typically of a small stack of very thin wood sheets (1/4″ or less) spaced just far enough apart to offer hiding places between the layers and is placed under a heat lamp for a gradient of heat for animals to self-regulate their body temperature. A bit of caution should always be used when using a heat lamp of any sort cast upon a wooden surface. Careful not to barbecue the lizards or your home! Be creative with the enclosure decor! 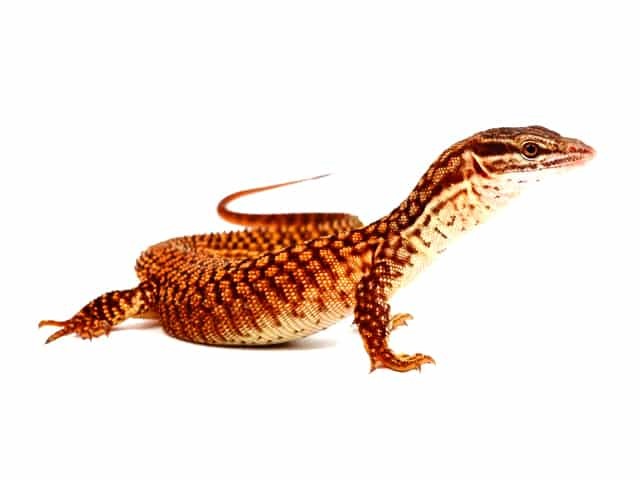 After all, you have to look at it every day and a naturalistic approach can be very attractive and appreciated by the animals as well as your guests invited to check out your awesome dwarf monitors. Substrate is another wildly varying subject. I have seen many different ideas for what is appropriate for Varanus acanthurus. What I have had success with personally is a sand and soil mixture with a ratio of approximately 2 parts sand 3 parts soil. One could use organic soil from the hardware store or gardening shop and get their sand from the same sources. However, if you can source these materials from a clean and natural resource, all the better. (Grab a shovel and save some money!) Using at least some naturally occurring substrate along with whatever microbes and small life forms that come with it will assist in keeping your enclosure clean and create your own biosphere to keep your animals healthy. Research the term “Biosoil” for more information. The depth of substrate to offer is of much debate as well. An absolute minimum would be 0.2 meters (0.6 feet) while some will go as deep as 0.6 meters (2 feet) in their recommendation. When a female goes to lay her eggs you will find that they will commonly go as deep as they can and make her deposit there. If she cannot get deep enough she may retain the eggs to the point of death. Such is the leading cause of female ackie demise, be aware. Varanus acanthurus require a basking temperature of up to 65 ºC (150 ºF). Ambient temperature should be around 26-29 ºC (80-85 ºF) on the cooler end of the enclosure. A range of temperature is important for all reptiles to regulate their bodies and digest their food. I have had success with offering heat via Par 38 halogen bulbs for most all of my lizards. I also offer UV with Megaray 100W bulbs for most every lizard we keep. We also use Arcadia 12.0 HO T5 fluorescent bulbs for ambient light and UV. I have personally measured the UV output and longevity of these bulbs and found these to be the best available in both categories. (in the US market) Some successful breeders will tell you that UV is not needed for monitors but it has always been my personal ideology that we should offer the best of what is possible to our captives as they cannot do for themselves. At the very least proper basking area temperature and overall ambient light is a necessity to get the best results for healthy animals. When offering the correct depth of substrate it is important to have proper moisture levels. Ackies are not desert animals, contrary to popular belief. They do have wet and dry seasons in their native land. When first setting up an enclosure I will add moisture to the point that the consistency will hold form. Think shaping a snowball. Does it stick together? Not too wet, not too dry. Ackies make burrows in their substrate. They will commonly dig in at night to sleep. Humidity is tricky to keep just right without being too wet but this is an art that must be mastered. Having said that, if enclosure is too wet overall and the animals can’t get away to a dry enough spot, there will be adverse effects. From egg binding death(not wet enough or too wet to lay her eggs) to swollen digits and ultimately loss of said digits,(too wet) keeping the cage too wet or too dry can be a serious problem. We offer our animals the best gut loaded feeders we can find. Crickets are the most commonly offered food item. Varanus acanthurus love movement and will track them with lightning precision that will amaze! Conversely, the suddenly stopped cricket may go undetected right under their nose. We also offer our own home raised dubia roaches primarily from tongs of some sort or another or from a slick sided bowl they can’t get out of. The problem with just dropping in dubia is they will burrow into the soil and not be found by your hungry lizard immediately. The same method is used with super mealworms for the same reason. Any escaped offering that burrows into the substrate or hides in the hole of cage furniture can become part of the clean-up crew. We are also working on a Turkish “red runner” roach colony as a cricket substitute. They are the same size as crickets as adults and do not burrow into the soil. They attract attention by running around until they get eaten. Other food offerings are the occasional pinkie mouse for adults. These are offered on tongs or dish, whole for adults or chopped for babies. I also will make lightly scrambled eggs on occasion fortified with vitamins and minerals as well as calcium. We also offer liquid calcium mixed into the water for quickly growing babies and breeding adults to assist in building of bones and replenishment of resources for females making eggs. Always keep in mind that each animal will have their own personality, much like yourself. Some will be bold. Some will be shy. With your monitor trust is everything. You want your interactions with your lizard to have a positive association. Force handling should be a last resort if you just don’t have time to let the lizard come to you. They are smart creatures and will remember that bad interaction they had with you and the trust is gone. Depending on the animal, trust can be very difficult to build later. Breeders that take time with their babies fresh out of the egg to bond with them and make good interactions are a great start for you and your new baby. The sooner you start with the baby, the better. With your captive bred animal, tong feeding is a good bonding tool. Remember positive reinforcement in the way of food is a great way to get the desired results from these smart little lizards. If you offer biosoil as substrate your clean-up will be minimal. With Varanus acanthurus the fine line of humidity can be hard to get just right and most of your built in clean-up crew, as it were, will require moisture. If you get it right and keep it regulated, a spot cleaning will be sufficient for quite some time. If not, a more thorough complete substrate replacement will be required as needed. Most species of lizard are in constant state of shed, if healthy. Your lizard’s pattern will evolve and colors will change as they grow and slough off old skin to reveal their new found glory. This has always been an exciting and rewarding facet of lizard keeping to me. Adult animals are always vastly different than the cute little one you start with. If your heat, humidity and diet are adequate you will have no issues with them shedding but to spot clean after them. If you are handling your animal in shed and help them off with old shed by peeling them always be careful to stop if the shed is still close to the skin so as not to injure the trusting animal. The skin underneath is new and sensitive. Be mindful of that last sunburn you had and how sensitive the new skin was. Many people will want to soak their lizards to help with shedding. This can be good and bad. The good aspect is if there are any shortcomings in husbandry that are leading to shedding problems, a soak can help. The bad part of this is for Varanus acanthurus is, in the wild, they don’t experience this amount of water except during a flood and their natural instinct is to run for their life save they drown in the flood! Be aware that when you go to soak your ackie this is why they are freaking out. Typically, they hate water. Bath time is great to help reveal your lizard’s true colors but remember that a dirty lizard is a happy lizard. With any animal there are potential health risks and Varanus acanthurus are no exception. While they are a very hearty species, there are some specific things to watch for. When feeding insects and moist food items there is a real risk of substrate ingestion. If a soil and sand substrate is used this risk can be significantly reduced as the fine granular substance will be passed through the digestive system. If one decides to use coconut coir as part of the substrate mix, for example, the result could be deadly. Indigestible, impassible blockage can cause impaction and death. Be especially aware with babies. Health issues from lack of enough calcium to swollen toes and feet from too much moisture in the substrate are real and common husbandry issues. In fact, most health issues can be related to husbandry and are preventable. Housing ackies together has potential for injury from fighting with cage mates or mistakes during a feeding frenzy can cause loss of digits or even death.